The Detention Response Team (DRT) was formed in 1988 in order to provide a specially trained team capable of quelling disturbances in the jail, extricating combative inmates and providing transportation for high security inmates. Since its inception, the DRT has maintained a high standard of honor, commitment and dedication making this one of the nations most elite teams dedicated to detention security and emergency response. 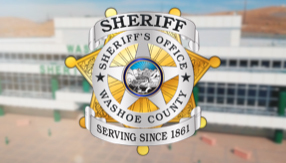 The DRT, along with the entire Washoe County Sheriff’s Office, is dedicated to the community. And with this commitment, DRT organizes charity events ranging from selecting a family in need for gifts to hosting bingo at a retirement home every Christmas. The DRT members also participate in the annual Shop with The Sheriff program designed to pair law enforcement officers with less fortunate children in the community.